The day eventually ended with a long shower of rain that was very sleep inducing. You know how the rain sounds on the galvanize roof? ……It’s a lulaby to a Trini’s ears especially on mornings. 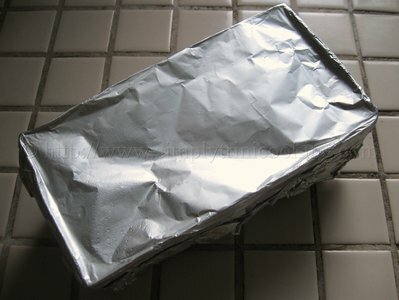 It makes you feel to “pull for yuh cover and go back to sleep”. Ent? Check the ripeness of the mango. It must not be over ripe. 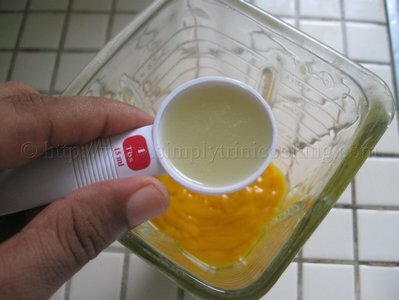 Lemon juice could be substituted for the lime juice. 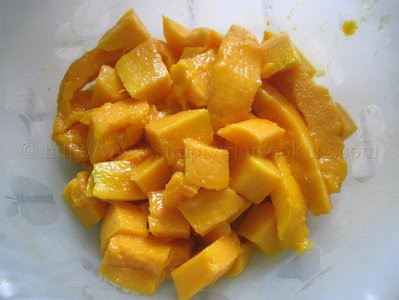 Are you ready to make mango sorbet? Let’s begin. 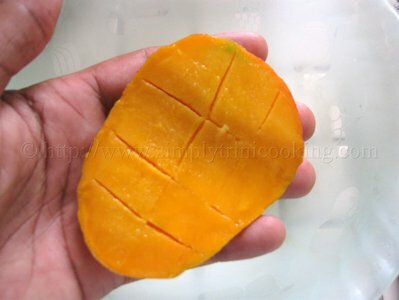 Cut the mango; make marks as shown and scoop out the pulp with a spoon. 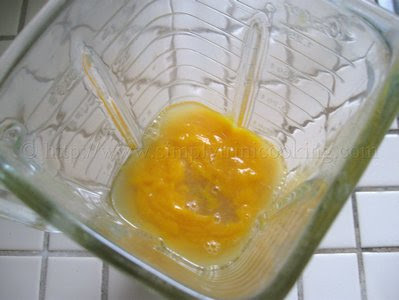 Blend the pulp then add the lime juice. 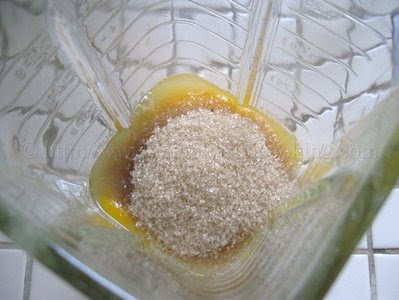 Add the sugar and blend until the sugar is dissolved. 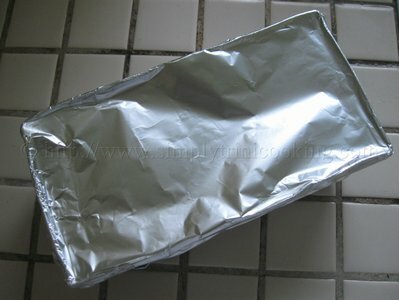 Place in a metal baking pan and cover with foil. Freeze until firm (about 3 hours). Note: Alternatively, you can freeze in an ice cream maker according to manufacturer’s instructions. Note: For those of you who don’t have an ice cream maker, like me, here’s what to do. 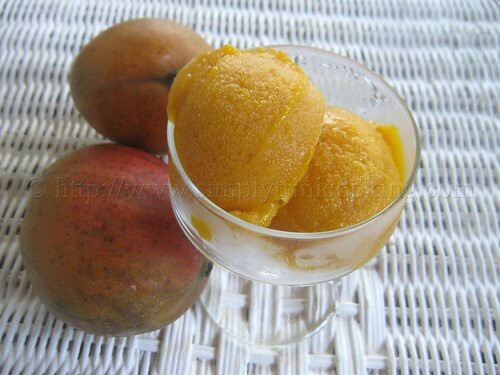 Freeze until firm (about 3 hours) then take a fork and mash the sorbet, then freeze until firm again before serving. –Do you mean try to mash it with a fork when it’s frozen, or wait until it’s hit room temperature and is softer? Don’t wait Andrea. As soon as you take it out of the freezer just take that fork out and start mashing. From experience I can tell you that it gets soft very quickly. 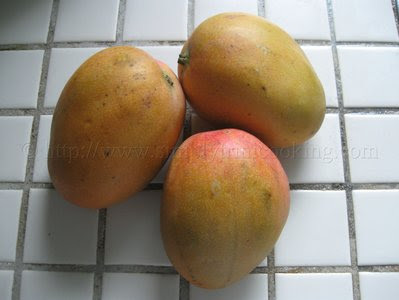 Thank you Felix–I’m heading to the grocery store for the mangoes! 🙂 They’re never as good as the ones my grandma has growing in her backyard, but I’m happy to have a piece of Trinidad through your recipes, here in Fredericton, New-Brunswick.